Skiathos coastline is blessed with amazing secret coves, untouched by mass tourism, that offer moments of relaxation and privacy. Covered with pine tree forests and golden sand, secluded beaches in Skiathos boast a magical setting for a romantic getaway or a refreshing swim. 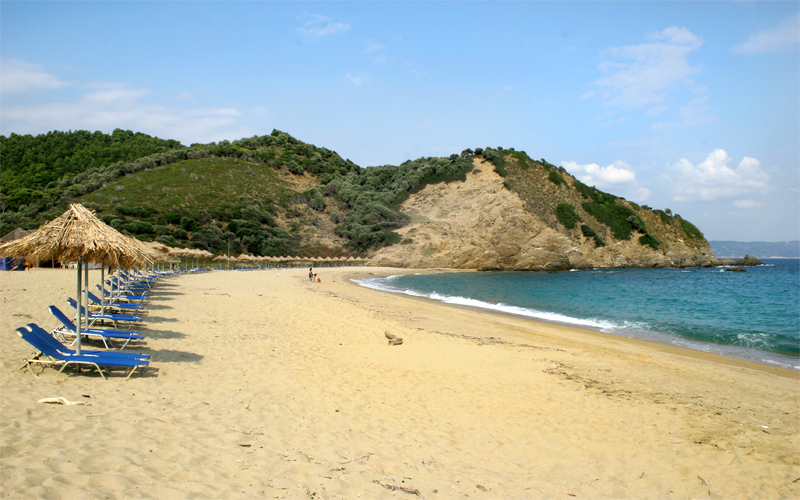 Most of the secluded beaches in Skiathos are found in the western and northern parts of the island, where the summer meltemi winds blow and tourists are scarce. Tranquil and undeveloped, many of these beaches are also suggested for naturists. Access is mainly done by bus or boat from Skiathos town, where you can stay in rooms or bungalows. Located just 1 km far from the popular Koukounaries beach, Agia Eleni is the perfect option for a secluded, sandy beach close to all amenities. It offers easy access from Koukounaries by bus or the town port by boat, and several taverns. It has shallow waters and peaceful environment, surrounded by pine trees, so it is recommended for families with children and anyone who wishes to unwind and swim safely. The beach is also close to the beautiful chapel of Agia Eleni, from which it took its name. 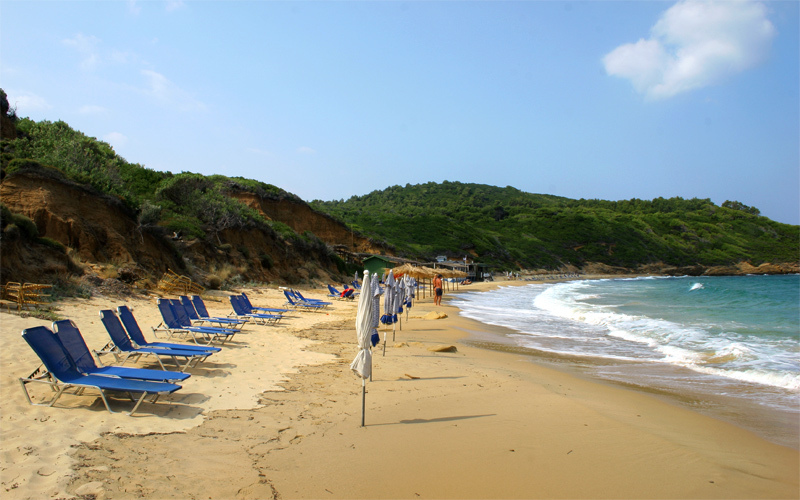 If you are looking for a calm, exotic place to forget about stress and crowds, Mandraki sandy beach is the ideal choice, again situated on the western side of Skiathos. With a backdrop of verdant pine-clad high hills, Mandraki offers total relaxation and amazing views. The beach is not organized, but there is a canteen serving water and soft drinks. 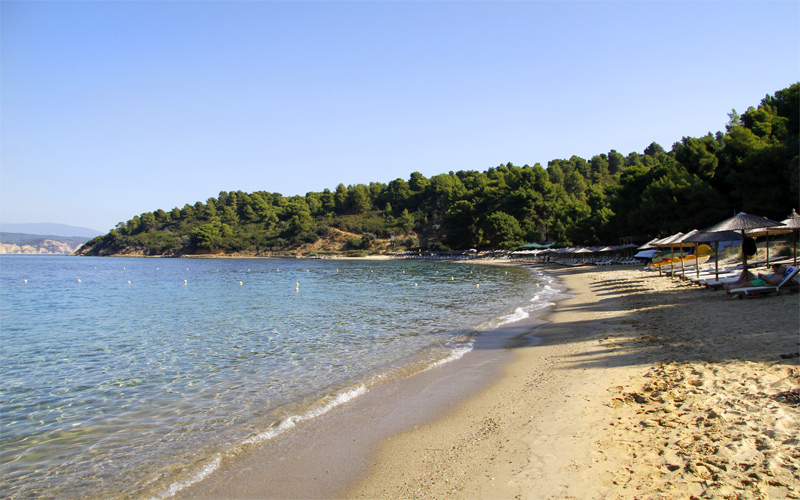 One of the best secluded beaches in Skiathos, Aselinos is a long shore with thick golden sand, small soft pebbles and exotic sapphire waters. Surrounded by the hills of Kounistra mountain, rich in vegetation, it provides a peaceful and pleasant environment, just 13km from Skiathos town. You can relax on the sand, swim in refreshing waters and have a drink from the little tavern, found on the beach. Near Aselinos, there is also a camping site. 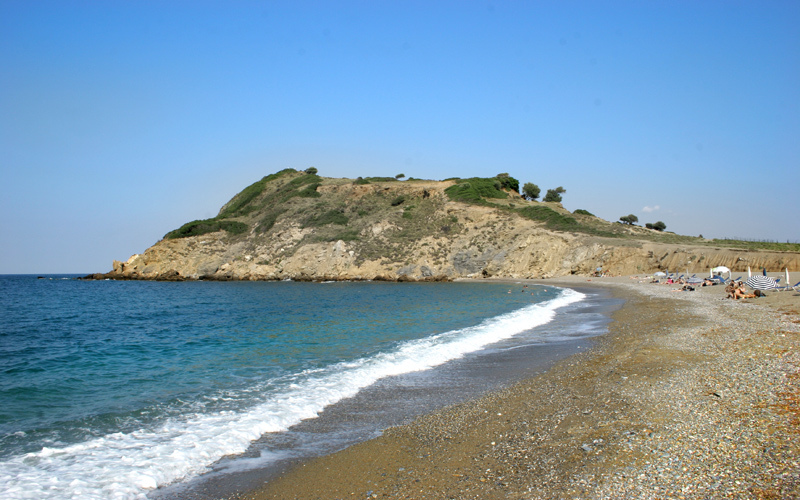 North of the island lies also the nice secluded beach of Kechria, situated near the old monastery of Panagia. This tiny cove is sandy and has crystal clear waters, providing also some organized equipment, such as umbrellas and sea beds. Kechria is accessible by boat or car, through some dirt roads. Though the route might be demanding, the wild natural beauty of the area will thrill you. 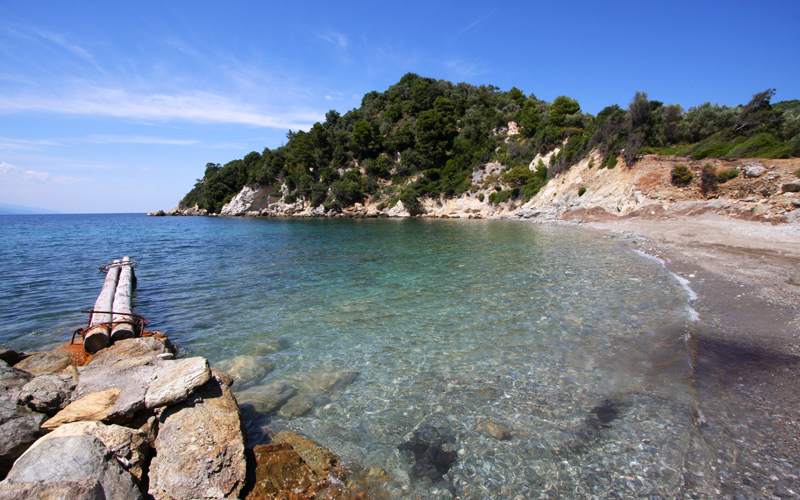 Take the coastal path from Skiathos town, heading north-east, and visit the wonderful beach of Xanemos, while enjoying a magnificent view of Skopelos island. Xanemos is a very popular nudist beach, located at the end of the airport runway, over a steep hill. It is mostly grubby and is affected by strong winds, but has transparent waters and beautiful scenery. There is a small canteen, offering snacks and drinks, in summer.